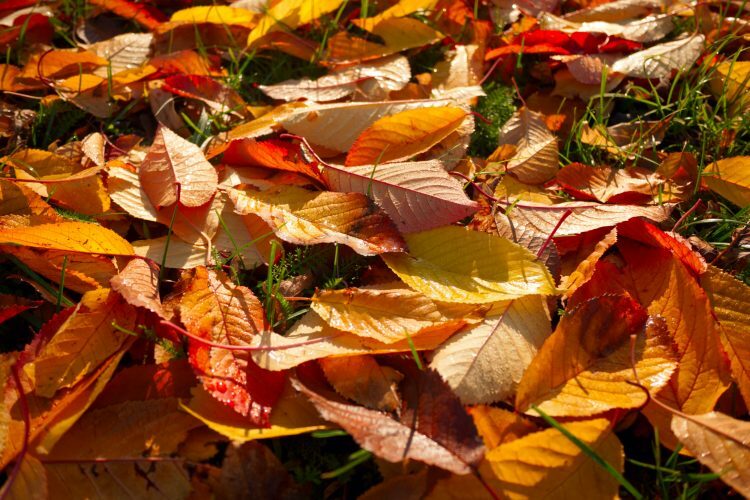 While leaves left whole on the grass can be suffocating for grass, shredded leaves can be a very healthy way to fertilize. Rake the leaves into long rows in the lawn and then mow them with the lawn mower. This will allow the leaves to quickly decompose and increase the nitrogen in your soil. Spread the shredded leaves all ov;er the lawn, in your garden, or in your flowerbeds to help generate new soil. If you have perennial flowerbeds, leaves can protect them from the cold temperatures of the winter season. After the ground has gotten very cold, blanket the beds with the leaves to prevent any freezing of bulbs or growing plants. This is also great for your winter vegetable garden. Composting is another way to use up your fall leaves. A compost pile consists of both green and brown matter, which best benefits your garden. Green matter, such as your kitchen scraps, are great for compost, but it will also need a lot of brown matter to break down and create the healthy soil your garden will love. In addition to green and brown matter, be sure to add additional nitrogen to your compost, such as manure, to ensure it creates a healthy blend of soil. Leaf mold is much like compost, only without green matter or additional nitrogen. The goal of leaf mold is improving the structure of the soil. There is little nutrition in leaf mold, but it can still be beneficial, especially if you are planning to create new garden beds this spring. It can also be used as a soil conditioner by keeping water in the soil rather than washing away with the rain. To make leaf mold, bag up your leaves inside a large black trash bag. Spray the inside of the bag with water once every other week to help it break down. Store the bags of leaf mold in your garden shed or somewhere in your yard until you are ready to use it in your landscape this spring. If you need to use your leaf mold sooner than spring, you can speed up the breakdown process by adding a little nitrogen to the bag, either from manure or grass clippings. If you already have a compost pile constructed, a handful of compost inside the bags will help speed the process along as well. If you have seen the orange pumpkin bags in the store during Halloween time, you can put your leaves to good use in your decorating. Simply fill the bags with the leaves, tie them up, and decorate your lawn as you see fit. After Halloween is over, you can still use the pumpkin bags in your harvest décor. Simply turn the Jack-o-lantern face to the back so that it looks like a plain pumpkin that you can add to your scarecrows and corn stalks. Using fall leaves in your lawn rather than throwing them away is a great way to recycle natural material and keep it out of the landfill. For additional help with your home and lawn maintenance, visit the iRazoo blog for more tips.